Ranjit Tiwari, who is making his directorial debut with Lucknow Central has been working under the wings of producer Nikkhil Advani for the last eight years. In fact Advani saw potential in Ranjit since the very beginning and it was in 2012 that Nikkhil promised Tiwari that he would back his first film. Ranjit had no formal training in the field and it was Nikkhil who taught him everything that he knows about film making. 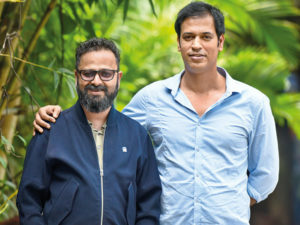 Ranjit played a pivotal role in the making of Nikkhil Advani’s D-Day and it was during the edit of that film when Nikkhil made Ranjit this promise. The audience is waiting for the release of Lucknow Central with bated breath and we’re sure that Nikkhil Advani’s faith in Ranjit Tiwari will soon pay off!